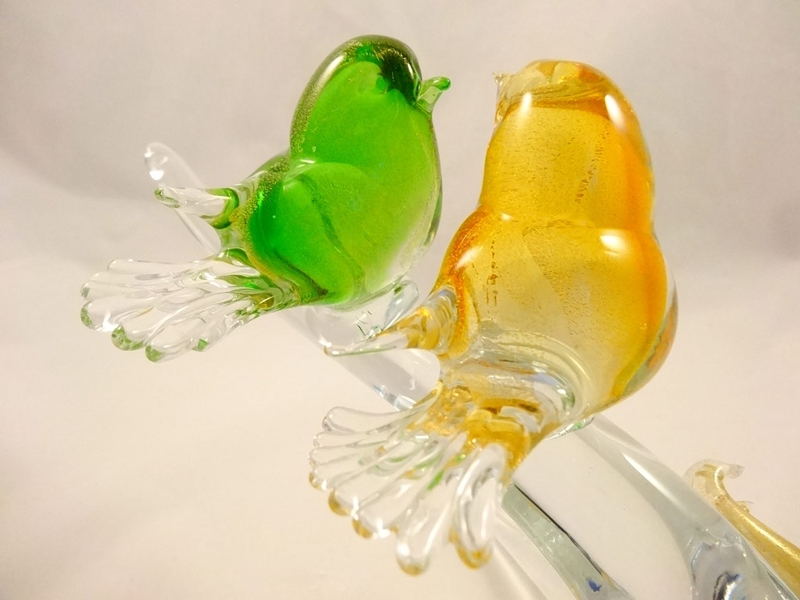 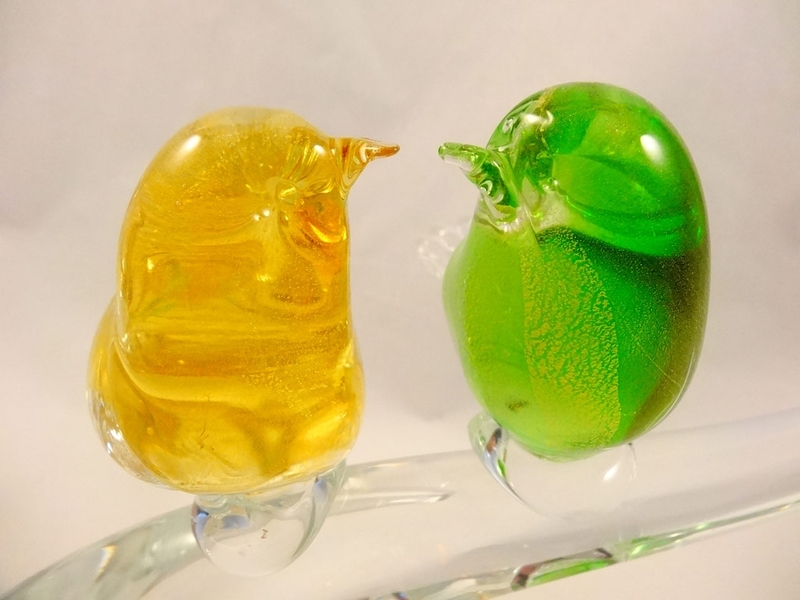 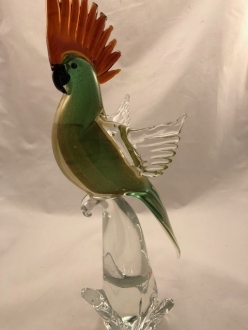 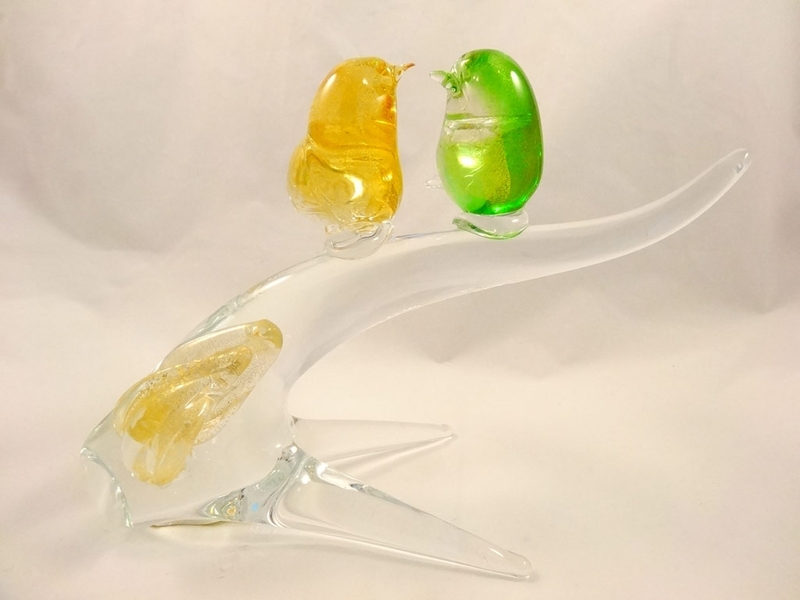 Murano Glass Birds Amber Green - Murano Glass - Murano Glass Gifts Co.
One bird is crafted in shining amber glass and the other one has the green gold color, using 24" gold. 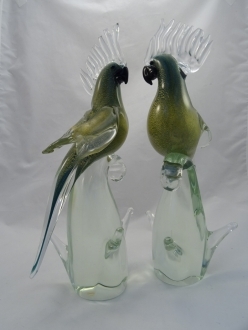 They look really enchanting, perched on a crystal clear glass branch. 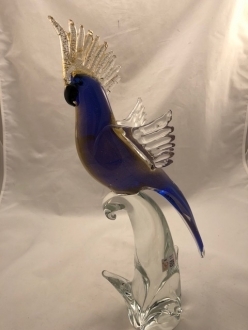 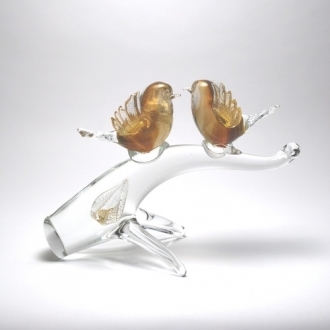 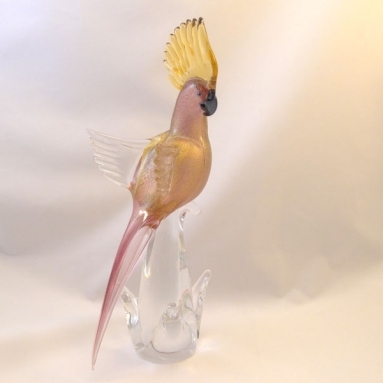 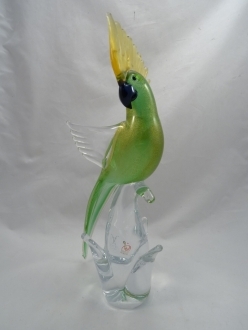 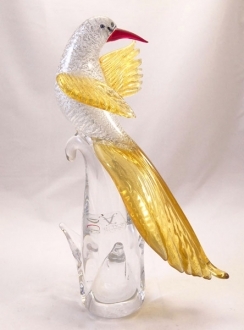 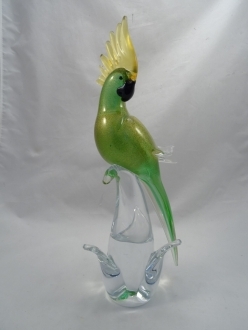 This authentic Murano glass bird is a marvelous décor item and a good gift article.